Hello, I'm working with my physician to create a remote work compliance agreement for employees to sign before they can work remotely. 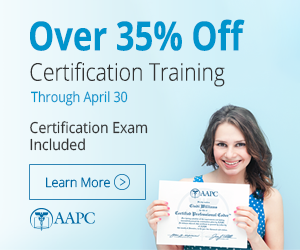 Is there a template on the AAPC site? I've looked and couldn't find one. Thanks! I am not aware of a distinctly different form for maintaining compliance remotely. In my company, all employees must successfully complete various training that address compliance, privacy, fraud, and waste. It is my assumption that an employee is expected to adhere to all compliance regulations regardless of when they are at work or at home. My recommendation is to modify the current non-disclosure/privacy agreement for all employees (remote and non-remote) to clearly state that all laws are expected to be followed 24-hours per day regardless of location. You would need to address them not storing any PHI data on their computers, method of storing passwords for remote access to any system they access, and how they dispose of any PHI paper trails they do have. I am sure there are other concerns, but these are the few that come to mind right now.